Smith's new Jill Ker Conway Innovation & Entrepreneurship Center is an "intellectual hub" that will "allow students to become women of the world and innovators in the marketplace," says Monica Dean, the center's administrative director. 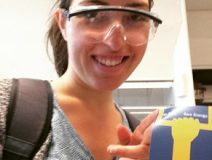 Angelica Radke ’18's initiative "Shut the Sash” encourages users in labs across campus to close fume hoods to save energy, reduce carbon emissions and improve safety. Says Radke, “It’s been estimated that this campaign could potentially save as much as $1,100 per hood annually." There are approximately 150 fume hoods on campus. 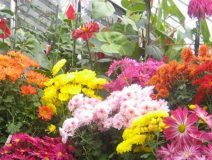 The annual Fall Chrysanthemum Show features an extraordinary display of blooms in a variety of shapes and colors. The show has been a popular college and community tradition since the early 1900s and showcases the hybridizing experiments of the horticulture class. The public gets a chance to vote for their favorites. The show runs Nov. 5 through Nov. 20. 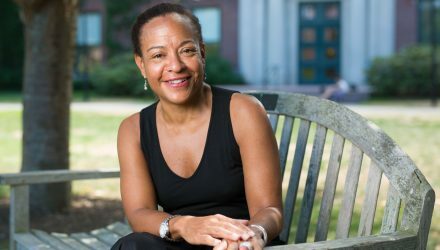 Read Professor Carrie Baker's blog on the Meridians: feminism, race, transnationalism symposium, which brought together scholars and activists to celebrate women of color feminist scholarship, art and activism of the 1980s and 1990s. The event, held on Oct. 14, culminated in a conversation with Black Lives Matter founders Opal Tometi and Janaya Khan. Read the New York Times book review of Dinitia Smith ’67’s The Honeymoon (Other Press, 2016), which imagines the course of George Eliot’s troubled Venice honeymoon with John Cross. To date, alumnae, parents, faculty and staff of the college have contributed a remarkable $433 million toward the college's $450 million Women for the World campaign. With just two months left before the campaign's culmination, now is the time to participate in this historic effort to prepare women for leadership in the 21st century. Please make your gift today to ensure that we reach our goal by December 31. 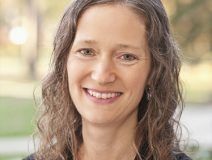 Associate Professor of Engineering Denise McKahn is building hydrogen fuel cells in her Ford Hall laboratory that might one day perform more efficiently and be safer for the environment than lithium-ion batteries. This is important because, as McKahn sees it, our overall economy will someday be hydrogen based.